Dr. John Weston, founder of TrueDefDoctors.com and trusted authority for 3M Dental, kicked off the holiday season in NYC as a featured presenter at the prestigious 2016 Greater New York Dental Meeting. He presented two hands-on workshops and one lecture that featured two of 3M Dental’s latest innovations: The mobile 3M™ True Definition Scanner and the all-new Lava™ Plus High Translucency Zirconia system for restorations. His three-hour workshop, “Utilizing Digital Impression Technology for Everyday Dentistry, Implants and Esthetic Cases,” covered the capabilities of digital impressions, including different workflows available. Dr. Weston hoped to help attendees learn how to utilize digital technology to turn the unpleasant and sometimes unpredictable practice of traditional impression-making into an accurate and interactive experience. Dr. Weston also presented a three-hour lecture, “Porcelain Veneer Smile Design Using Digital Tools and Technology.” Through this presentation, he aimed to teach attendees to understand how a digital impression system combined with digital design and planning, as well as modern materials, can be a versatile component to a cosmetic practice. 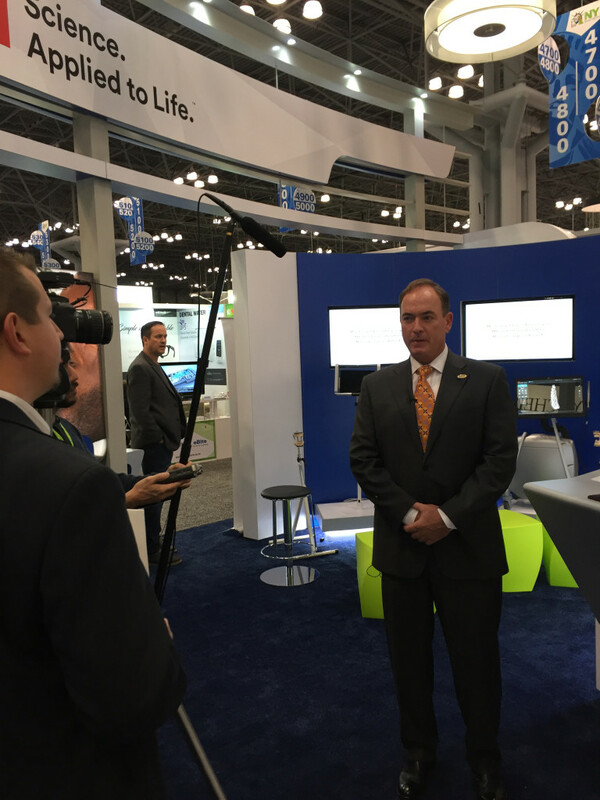 Finally, Dr. Weston was also filmed at the 3M Dental exhibit as he discussed one of their newest restorative products, Lava™ Plus High Translucency Zirconia. The system is designed to offer all-zirconia restorations that exhibit accurate and vital color match without compromising translucency and strength. Curious about any of these new products? Register for our discussion board and join the conversation today!